I obtained my PhD in Computer Science from The University of Hong Kong in 2003 under the supervision of Prof TW Lam and Dr HF Ting. I am a Professor in the Department of Computer Science at The University of Liverpool, associated with the Algorithm Group. 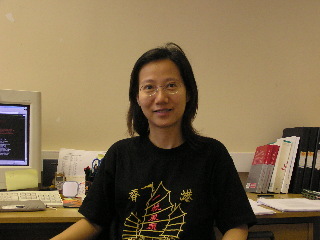 Prior to joining UoL, I was a post-doctoral fellow in HKU. My research interests are on the design and analysis of algorithms for optimization problems. I focus on designing on-line and approximation algorithms in various application areas, including job scheduling, bin packing, multimedia streaming, load balancing and network routing. I have also worked on optimization problems in other areas including computational biology and wireless communication algorithms.